A Russian dad’s inventiveness has gone viral. 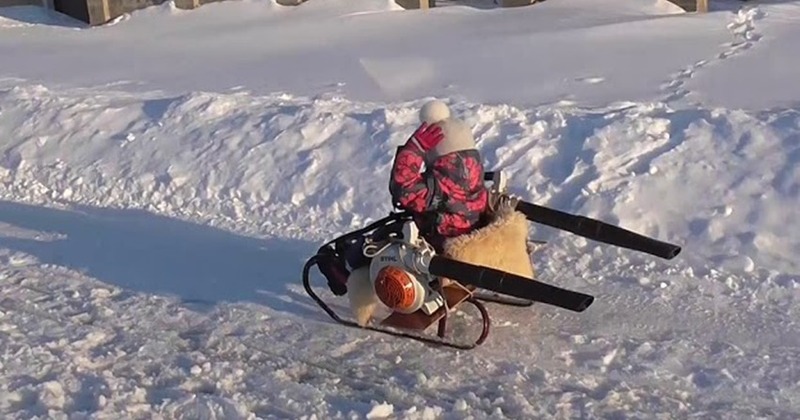 He has created a fun snowmobile sled powered by two leaf blowers for his daughters. The leaf blower gives the sled enough power to move freely on snow. The seat is perfect to accommodate one child and the electric sled can drag the rider to a good distance. There is no real information on how the entire thing is made, but it goes without saying that this his father of two girls from Belgorod, Russia, is clearly winning at the parenting game and you must see why in the video below. 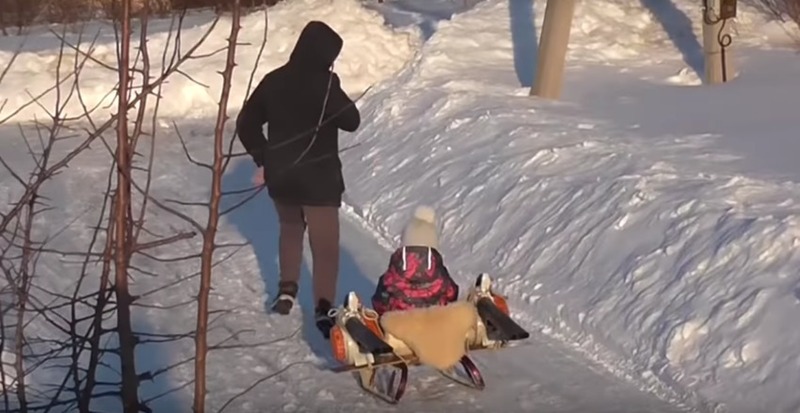 In the video, you can see him and one of his daughters testing the unusual mode of transport on a snowy path. It seems the sled has been designed to run at a decent speed, but not too fast to scare the kids, yet the father can be seen running in front of the sled to ensure everything is safe, super cool.